Protecting your investment with proper insurance is not only extremely important but is also required by most states and most lenders. There are many forms of “acceptable” insurance but will it be enough to ensure you’re getting the most for your car should something happen to it? Companies such as State Farm, Progressive, and USAA offer policies for general coverage just like your current daily driver for as little as $20 a month, however, if you’re purchasing a 1992 Nissan Skyline GTR you’re going to want make sure your insurance pay out covers a 1992 Nissan Skyline GTR imported from Japan with whatever awesome mods you might have… and not just cover you for bluebook average of a generic 1992 Nissan. One way to insure you’re covered for exactly what your car is worth is to find an insurance company that offers a policy commonly referred to as a “Stated Value Policy” or an “Agreed Value Policy.” These insurance policies are difference from your average auto insurance policy because they allow you to assign a “Replacement Value” to your vehicle and your monthly / yearly premiums are based off the value assigned to the vehicle and not based of what is commonly referred to as the “Book Value.” A “Stated Value Policy” or an “Agreed Value Policy” will cover the total value of the car and everything attached to it so your super sick $4,000 bonze Ray’s TE-37’s and your super expensive but totally worth it Ohlin’s suspension are covered if you car is ever totaled. A “Stated Value Policy” or an “Agreed Value Policy” also allows you to make adjustments based on changing values of your vehicle. Imported Japanese cars like the Nissan Skyline GT-R are steadily increasing in value. 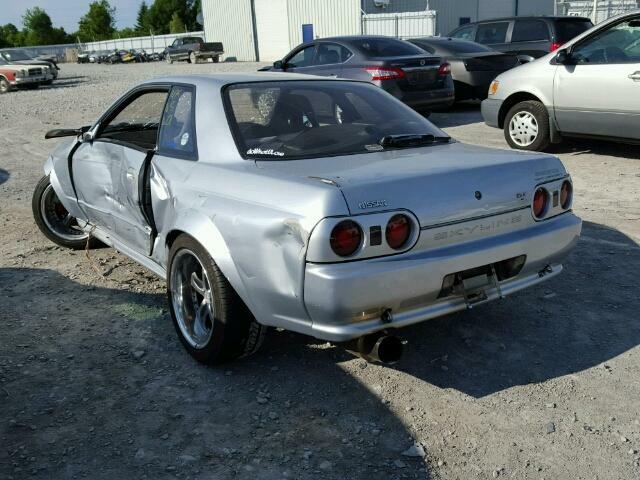 You’re $34,000 Skyline GT-R may soon be work $40,000. The flexibility of these policies allows you to increase your policy at any time to adjust for that inflation in price to ensure you can get a car just like the one you have now if it is ever totaled. Stick 10k in parts into your car? Increase your policy by 10k to make sure you’re covered if the car is a total loss. Have questions or want more details, we are happy to answer what we can or refer you to an insurance agent that can answer more specific questions.